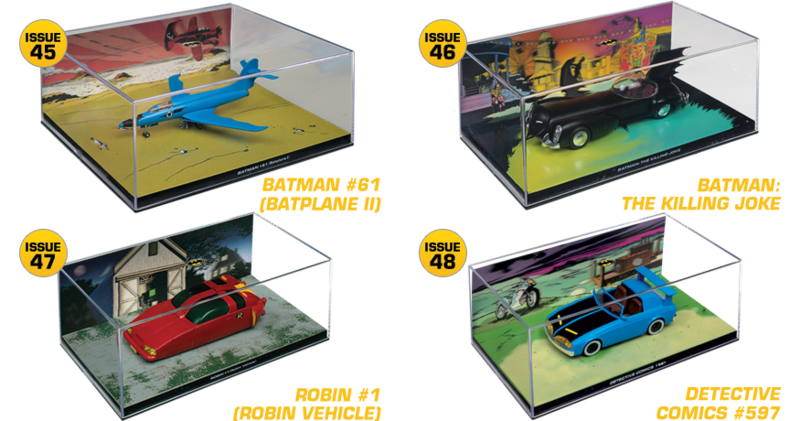 fans and car model enthusiasts alike! 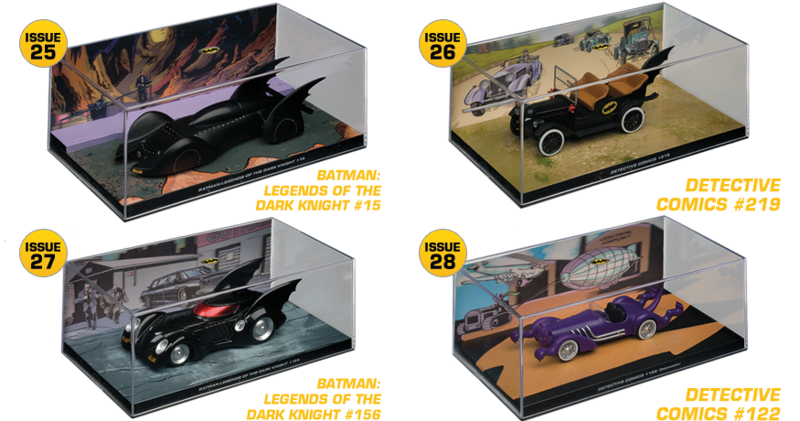 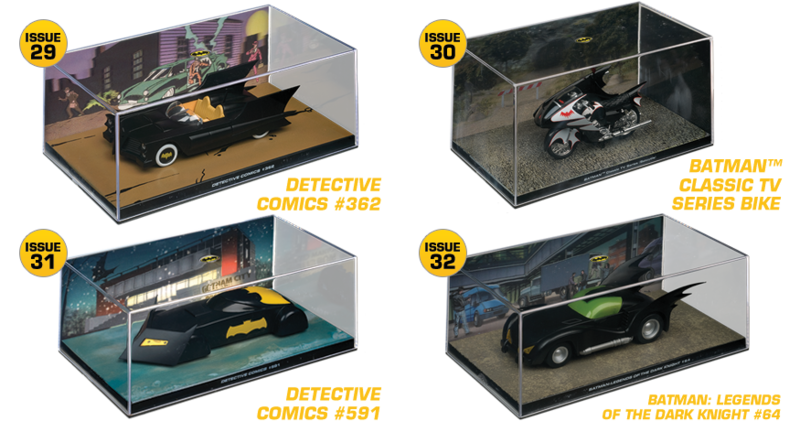 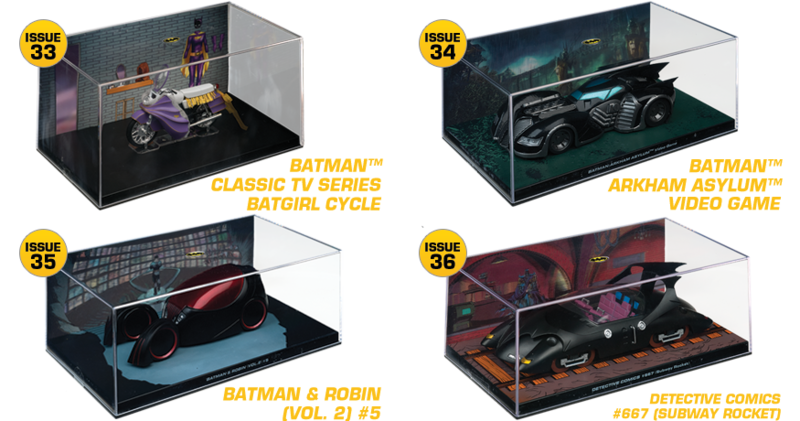 Taken directly from the TV show, film or comic that the Batmobile featured in, the specially designed 3D lenticular brings the scene to life. 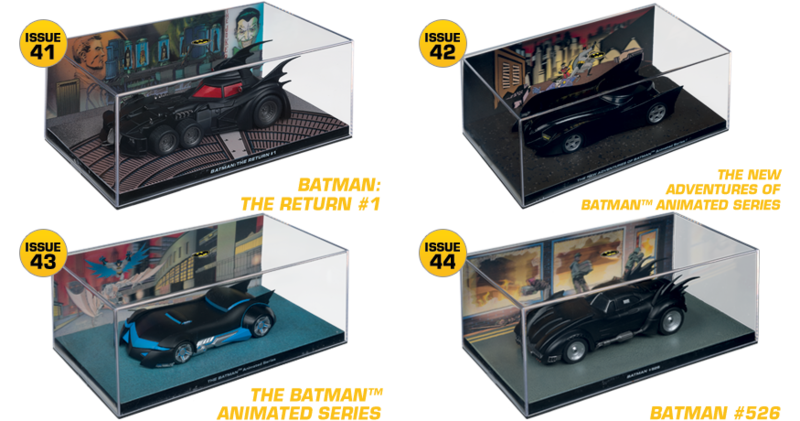 Perfectly reproduced scale models of each Batmobile. 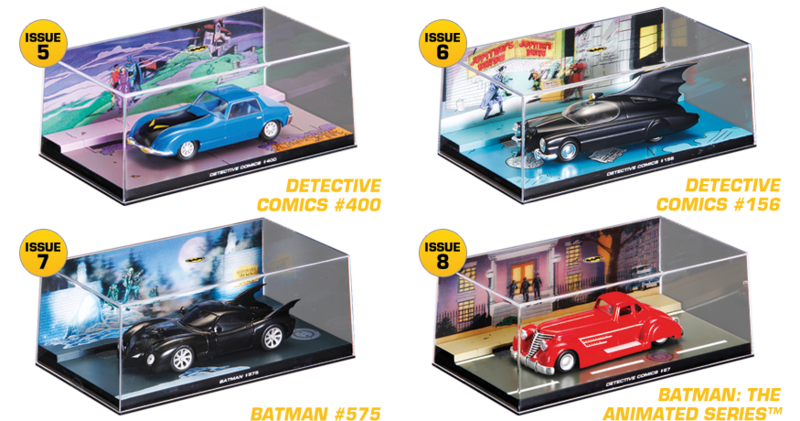 Each model features additional detailed castings for specific features and gadgets. 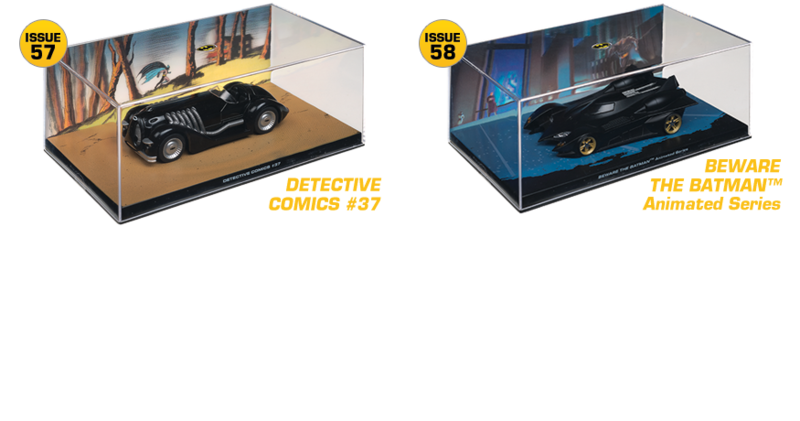 Presented on a textured and hand-painted base, highly detailed props and figures are included with some vehicles to complete the action scene. 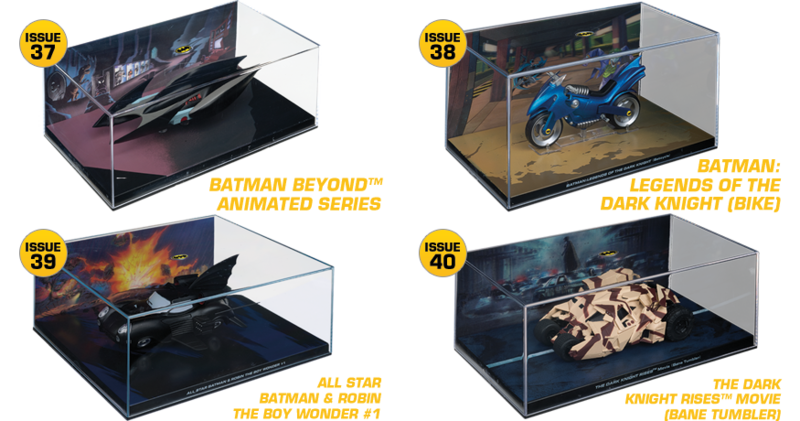 You can subscribe today via our secure order area, or buy in your local shop. 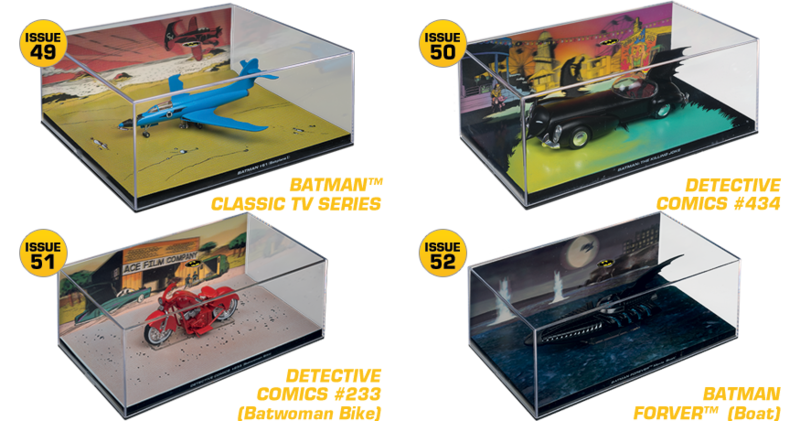 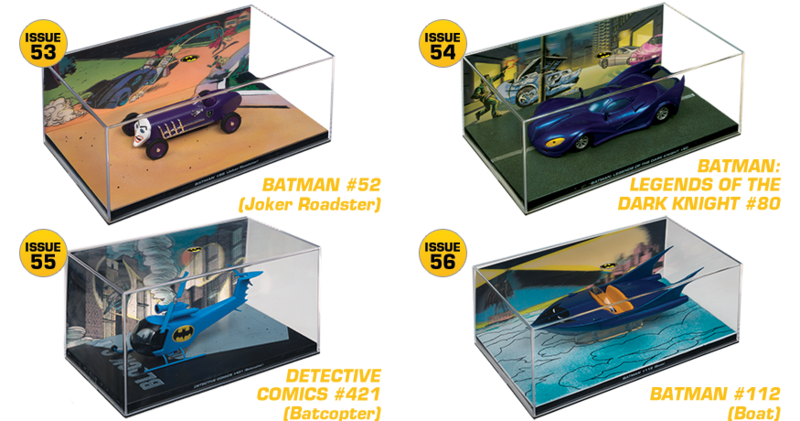 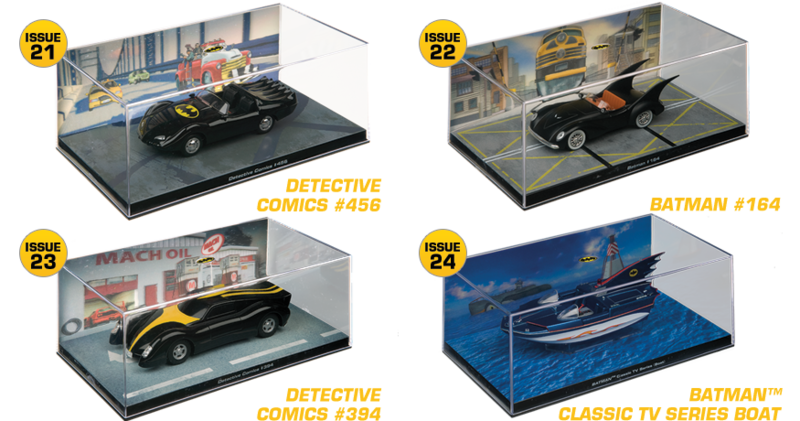 Eaglemoss Publications Ltd has been creating amazing collections in Europe since the 1970s. 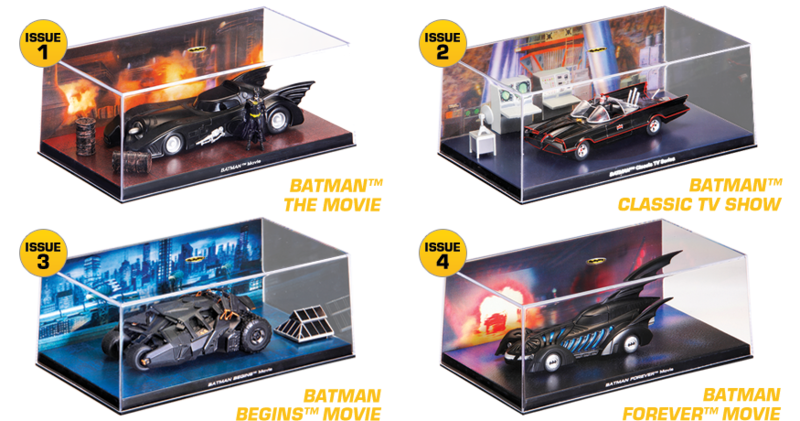 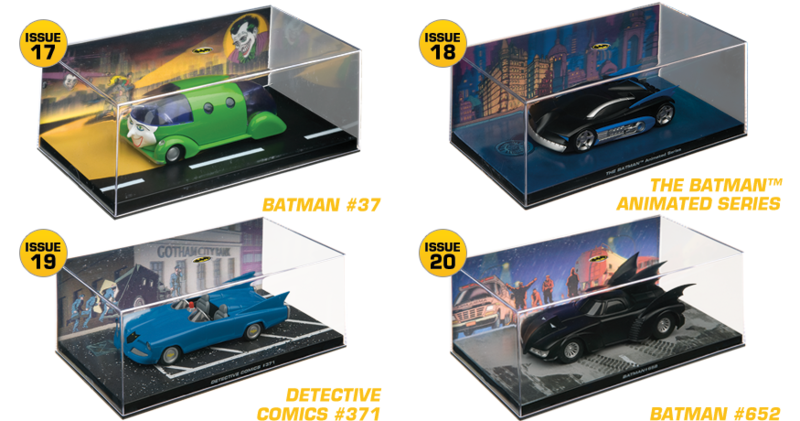 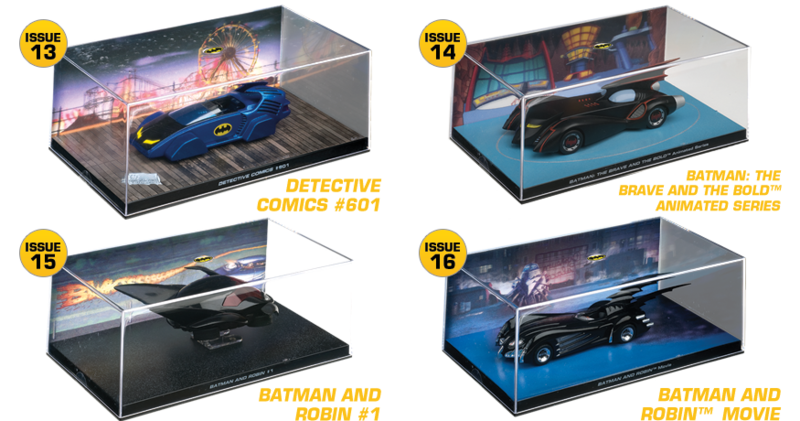 Eaglemoss works with some of the greatest brands including Marvel Inc, DC Comics and Eon Productions, and is especially pleased to have been given the licence to create this collection. 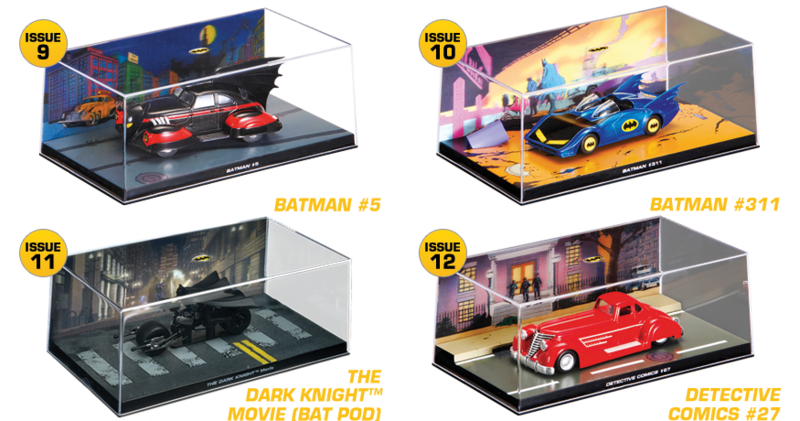 Click here to read more about Eaglemoss’s collections.